The Star-Ledger Q&A Interview » James Betelle, Where Are You? 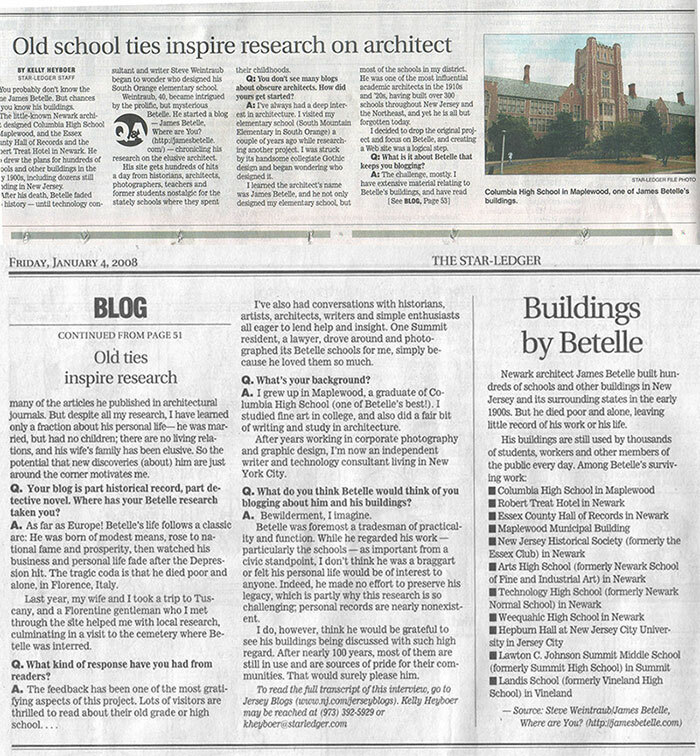 This web site was featured in the New Jersey Star-Ledger on Friday, January 4th. The column, Jersey Blogs, was a Q&A with staff writer Kelly Heyboer conducted in early December. Any exposure for this arcane subject is welcome, and the article certainly gained a nice bit of readership. If you’ve discovered this site from reading the article, glad to have you here. Poke around, ask questions. The whole interview can be read at Heyboer’s blog.